City tour of Cochin including Mattancherry Palace, St. Francis Church and Jewish Synagogue. 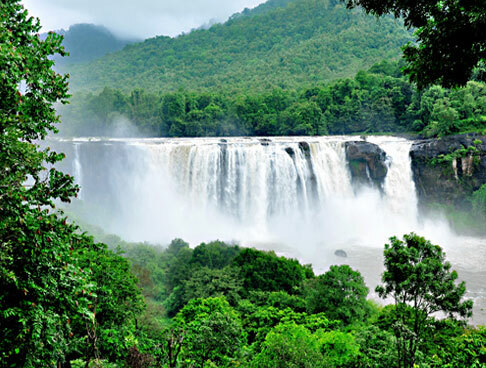 Stop at tourist landmarks of Atukkad Waterfalls, Chithirapuram, Blossom Park and Pothamedu View Point. 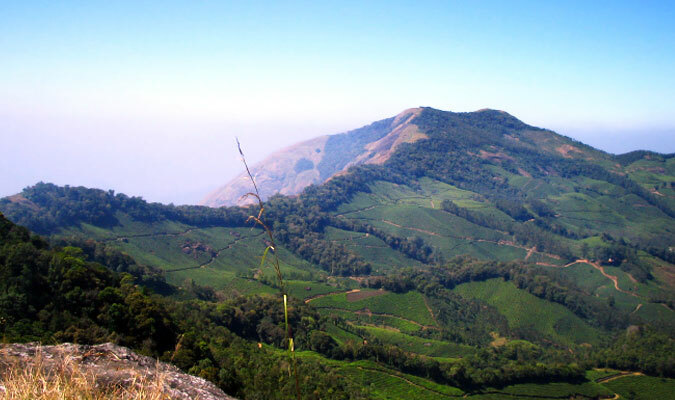 Explore the Eravikulam National Park at Munnar. Enjoy Jeep safari at Periyar Wildlife Tiger Reserve. Excursion to Kumarakom backwaters & the bird sanctuary. 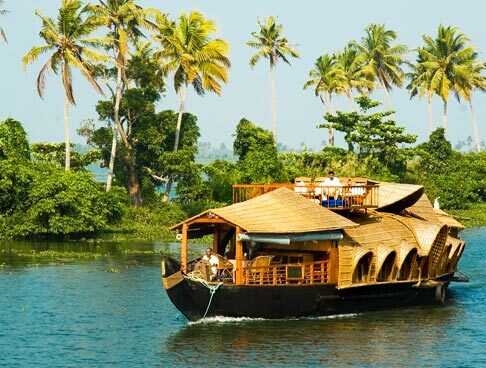 Experience houseboat rides on Alleppey backwaters. Tour to Kovalam Beach for relaxing and enjoying water sports. 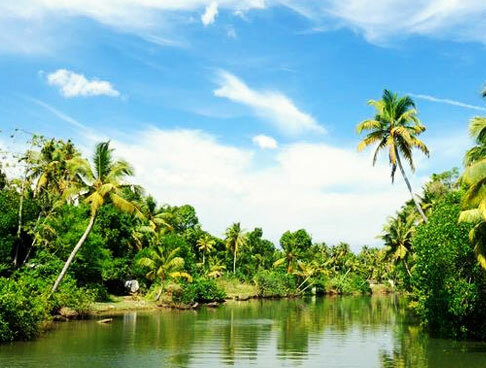 Experience the blessed scenery of Kerala. The 9 Days and 8 Nights’ tour features the delightful scenery of beaches, hill station, wildlife sanctuaries and backwaters. The tour starts with the multi-ethnic Cochin. Chinese fishing nets over the waters is an unmissable sight. 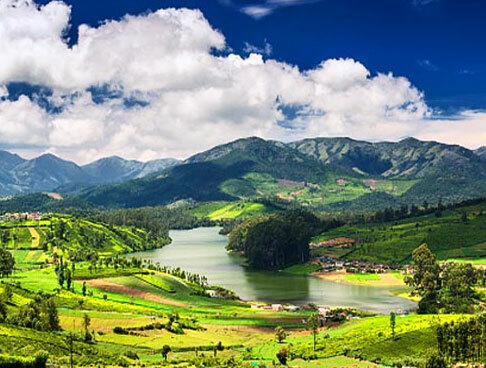 Next, visit Munnar. The hill station is blessed with the presence of lush tea gardens, waterfalls and a colonial charm. 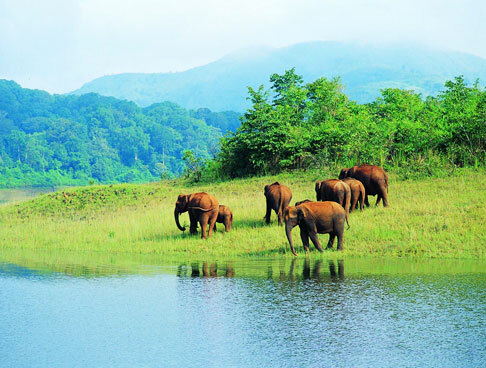 Moving forward, reach Thekkady for wildlife adventures at the Periyar Wildlife Tiger Reserve. Later proceed to Kumarakom and Alleppey. 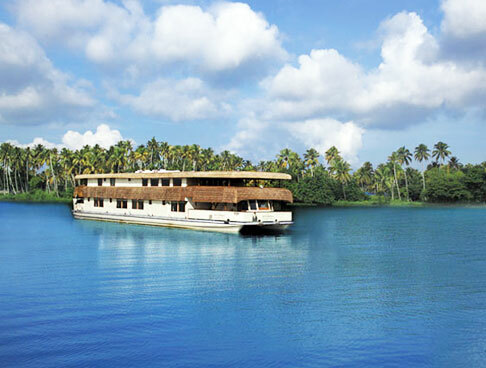 These scenic locales offer a delightful excursion to the Kerala backwaters. Kovalam is a thrilling beach getaway offering lots of fun. Peruse itinerary for complete information. On arrival at the Cochin airport, meet our tour representative. Get an assisted transfer to one of our listed hotels. Check-in at the hotel and relax for a while. Later, proceed to visit the major tourist attractions. Start with Jewish Synagogue, Dutch Palace, Portuguese architecture, St. Francis Church and Boghatty Palace. While exploring do not fail to enjoy a sight of Chinese fishing nets. These unique fishing nets exhibit the traditional method of fishing in high tide conditions. Return to the hotel for overnight stay at the hotel. Begin your day with a healthy breakfast at the hotel, after which you drive straight to Munnar. On arrival, get transfer to one of our listed hotels. Check-in at the hotel. The day is at your leisure. The beautiful hill station is blessed with an unending expanse of tea plantation. 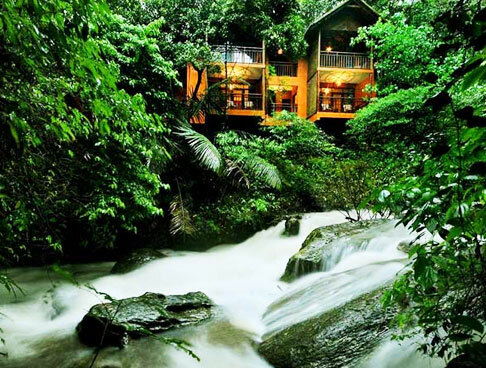 The lush green surroundings of lakes, waterfalls and forests are blissful. Adventures like trekking, hiking and even paragliding are abundantly available. Enjoy a comfortable night stay at the hotel. Start the day early with a delicious breakfast, after which you proceed to the sightseeing tour of Munnar. 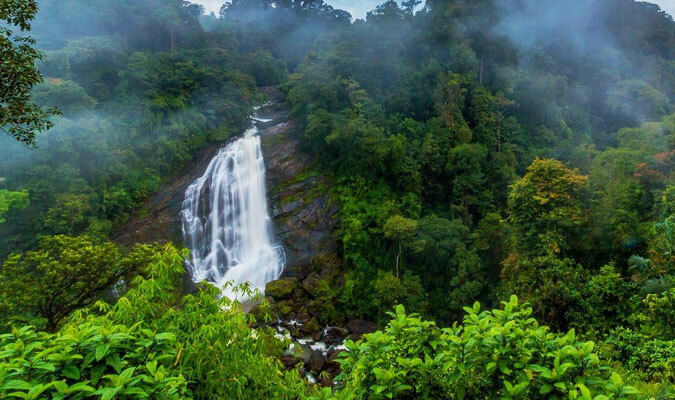 Cover the major tourist hotspots which include the Atukkad Waterfalls, Chithirapuram, Blossom Park and Pothamedu View Point. Get ready for an excursion to Eravikulam national park. The wilderness is full of excitements and if you are lucky you might spot a Nilgiri Tahr, one of the endangered species of the Western Ghats. Later, visit the Rajamala Hills. Return to the hotel for an overnight stay. Wake up to the fresh air of Munnar. Have a delicious breakfast after which you pack your bags and check out of your hotel. Begin a four hour long drive to Thekkady. While on drive, enjoy the beautiful views of rolling hills, thick jungles and spice plantations. Upon arrival, check in at one of our enlisted hotels in the city. In the afternoon proceed to Periyar Wildlife Tiger Reserve. Get ready for an adventurous jeep safari. 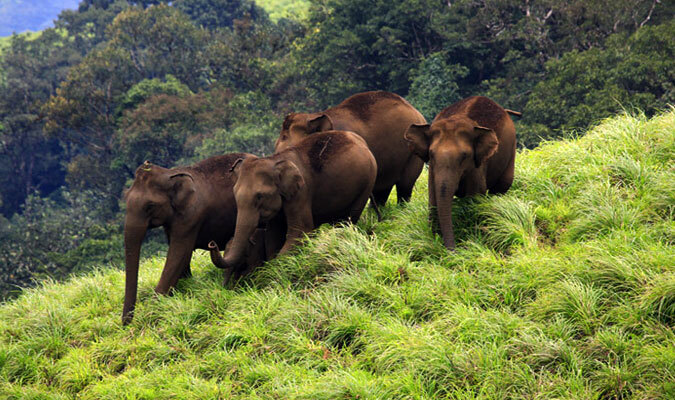 Periyar is a paradise for Tigers, Elephants and more than 265 species of birds. The boat ride at Periyar Lake is one of the memorable experiences of your tour. Overnight stay at the hotel. In the morning after breakfast, proceed to Kumarakom. The backwater haven on the Vembanad Lake is one of beautiful memories of Kerala. 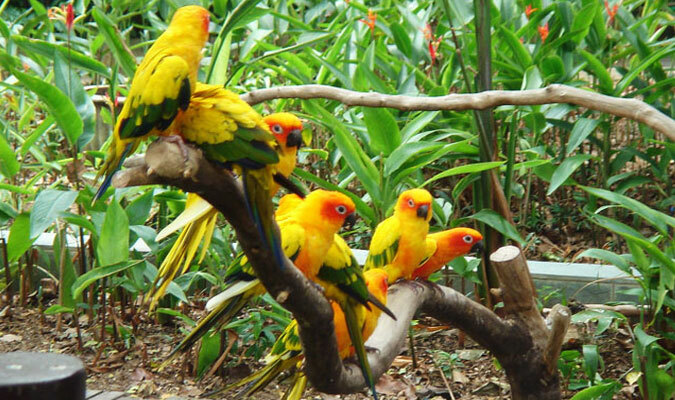 On arrival, pay a visit to Kumarakom bird sanctuary. After bird watching, head to one of our enlisted hotel for check-in. spend the rest of the day at leisure. You can go exploring. Return to the hotel for dinner and overnight stay. Post breakfast leave for Alleppey in a houseboat for an overnight cruise. The Kerala backwaters are mesmerizing. The unique eco-system is one of the major tourist allures. The houseboats are traditional modes of transport now equipped with all requisite modern luxuries. Pass through lush green padded fields, palm fringed costal lines and enjoy the majestic scenery. Stay on the houseboat for the night. In the morning after a healthy Keralan breakfast, drive towards Kovalam. Check-in at one of our listed hotels, on arrival. After freshening up, leave for an excursion to Kovalam Beach. The beach is ideal for various kind of water sports like Kayaking, surfing, skiing and swimming. The Kovalam beach is also known for its Ayurvedic centers. Pamper yourself with a body toning massage at any of the centers of your choice. Overnight stay at the hotel. Full day at your leisure. Stay at the hotel for the night. After breakfast, get an assisted transfer to the Trivandrum airport. 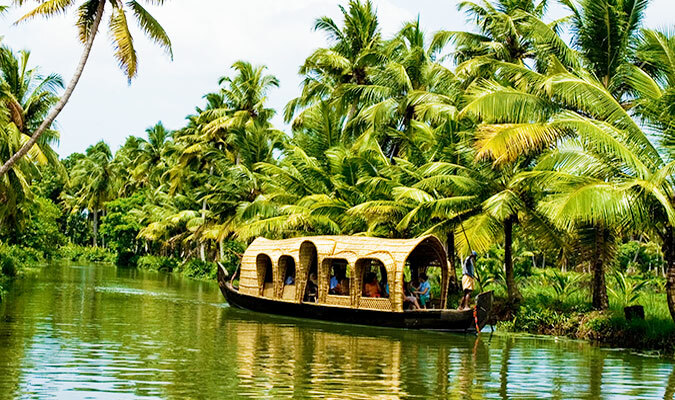 Board a flight for your onward destination with fond memories of scenic Kerala.